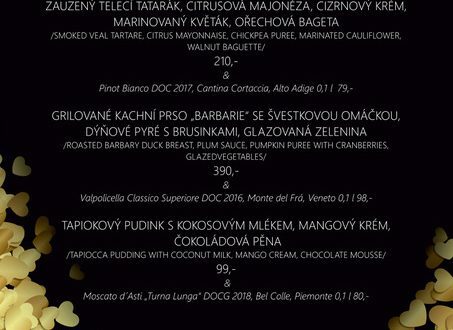 On 14th of February we prepared thematic Valentine’s menu. 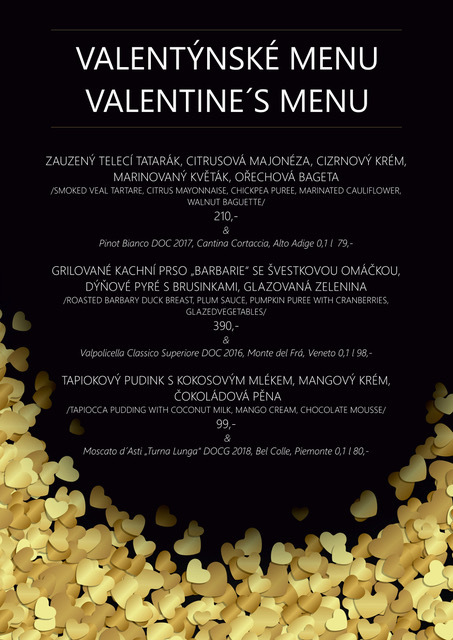 We also prepared a special present for those of you who will order our Valentine’s menu combined with wine – bottle of Bardolino Chiaretto from Monte del Frá. Reservations are possible at 17:00 – 19:45 and 20:00 – 23:00.